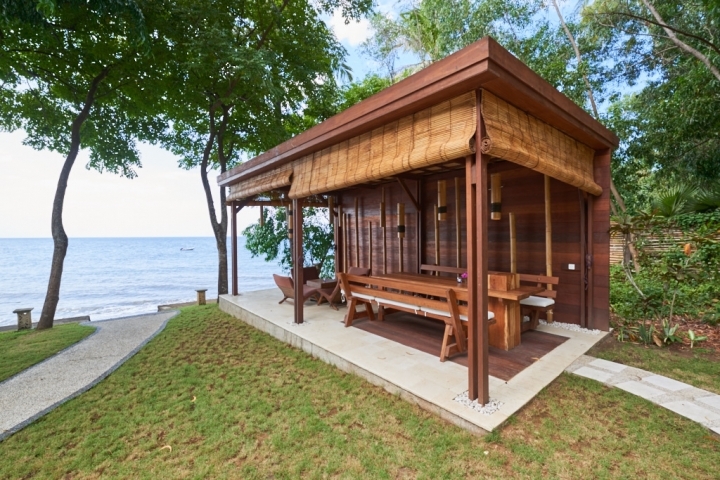 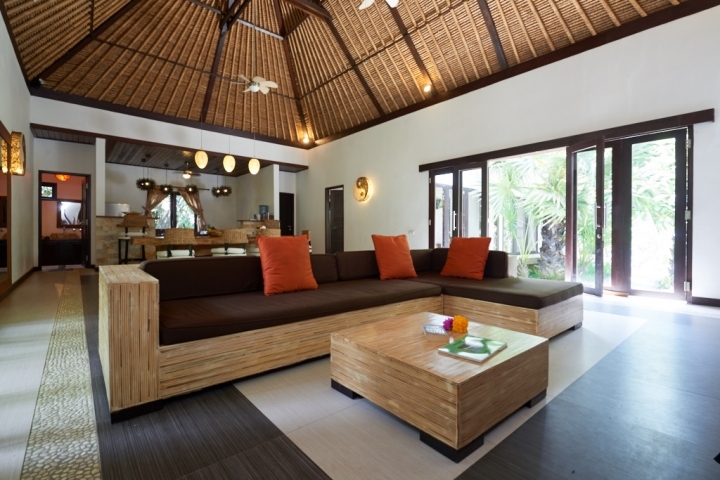 Tropical style beachfront villa with Free hold title. 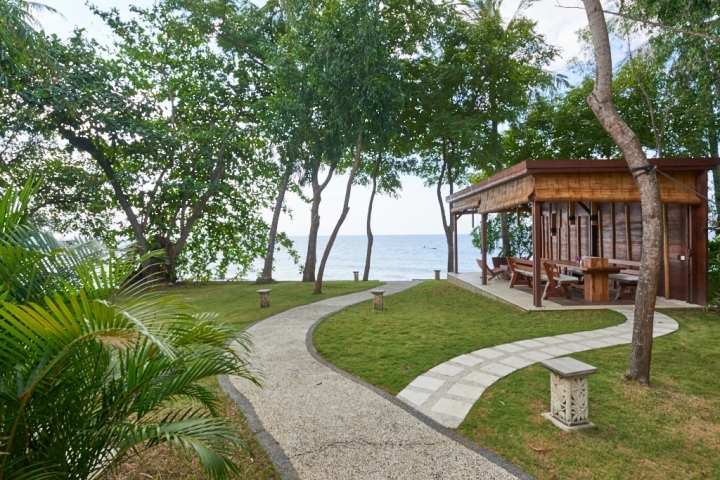 The ocean in front of the villa with beach and beautiful coral reef. 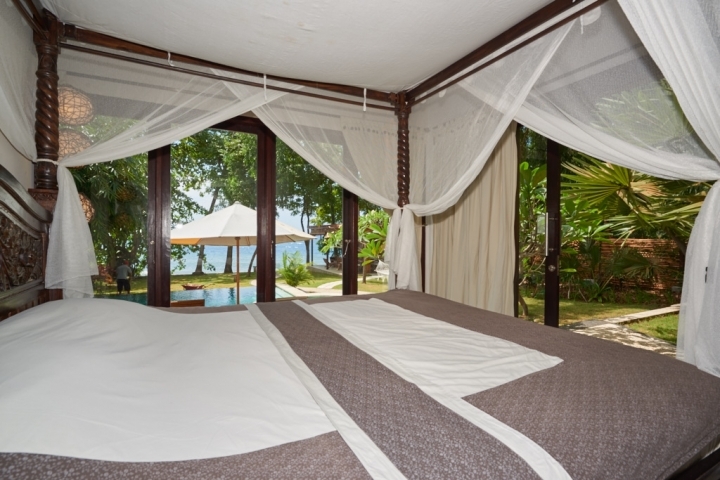 Three spacious bedrooms with big beds, one small room with single bed and 4 bathrooms. 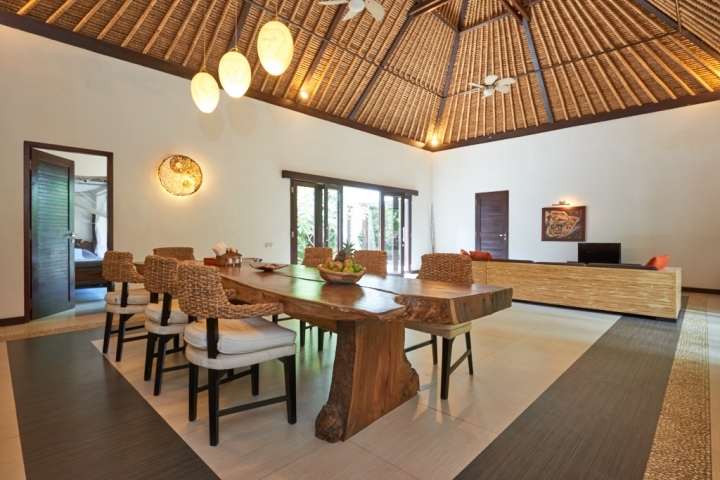 A modern kitchen and a spacious living room. 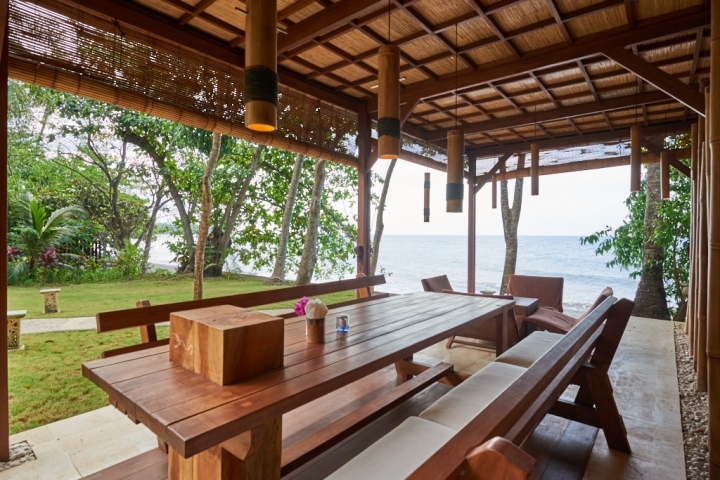 Outside dining area near the beach. 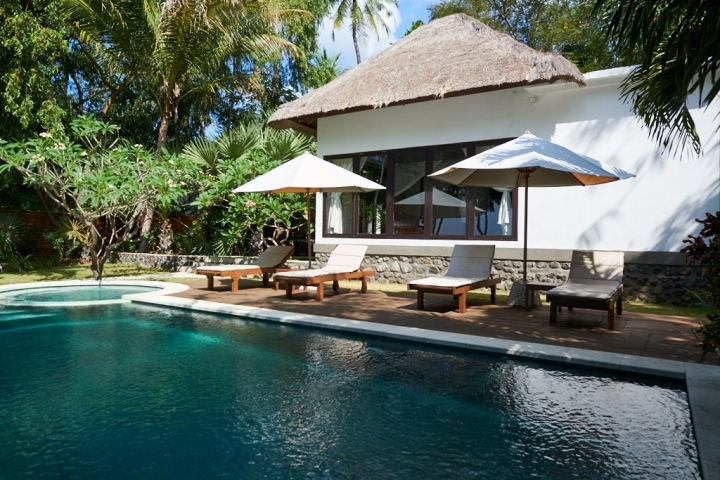 A private infinity pool with kids zone. 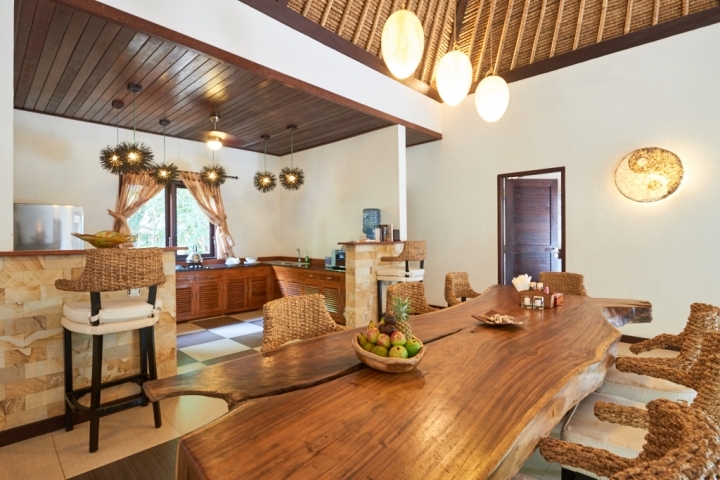 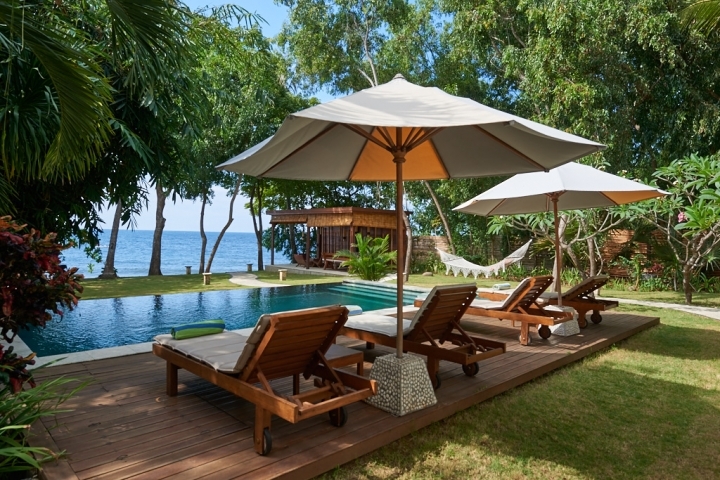 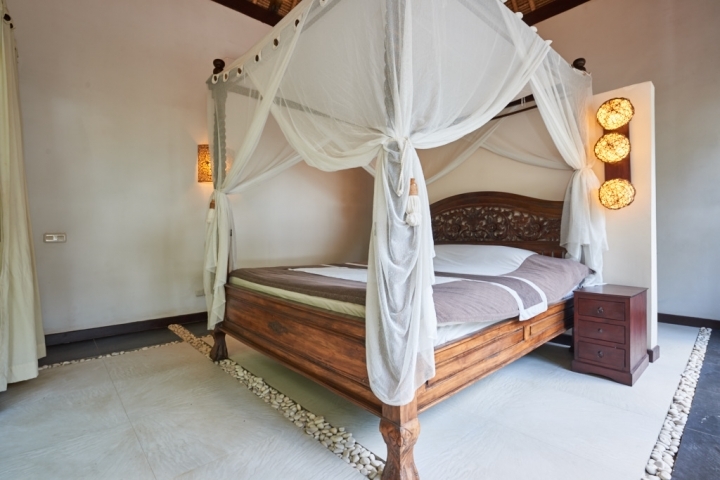 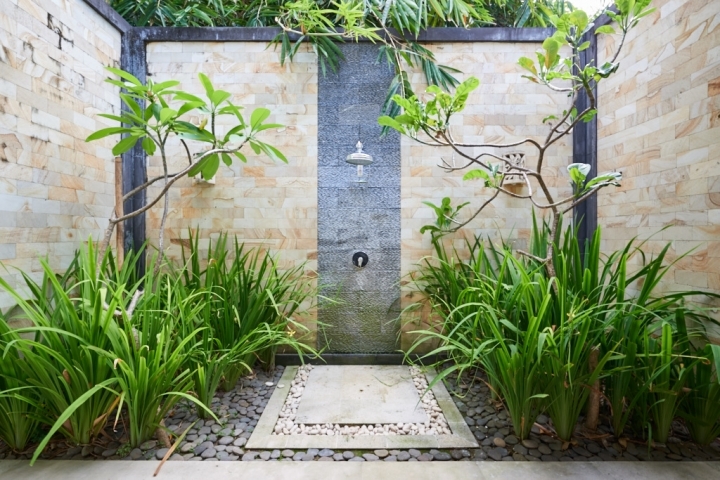 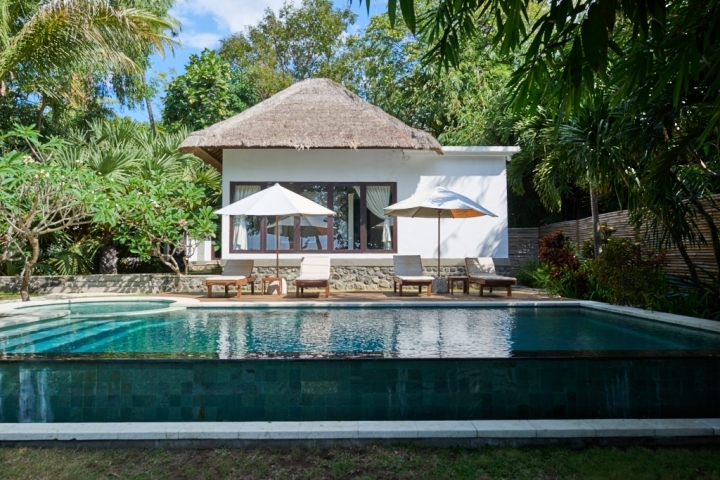 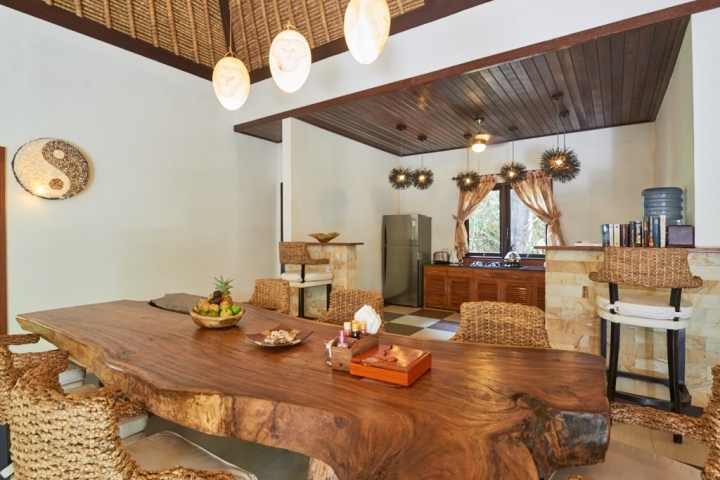 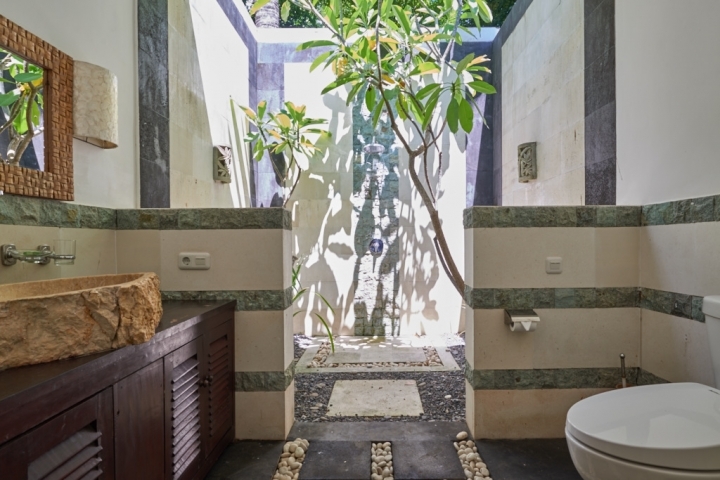 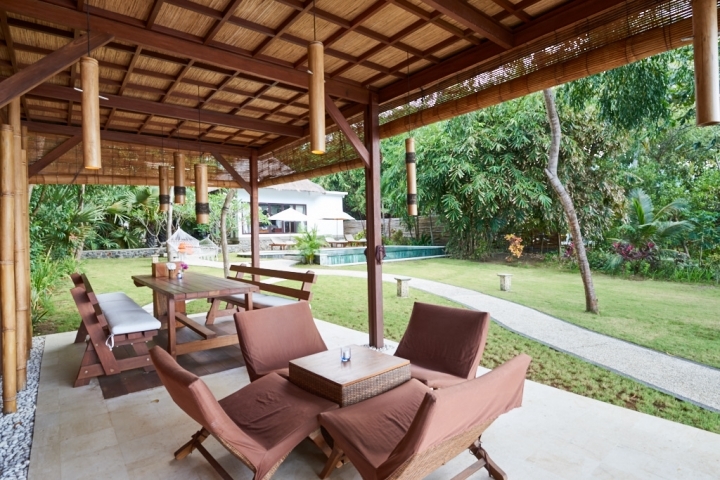 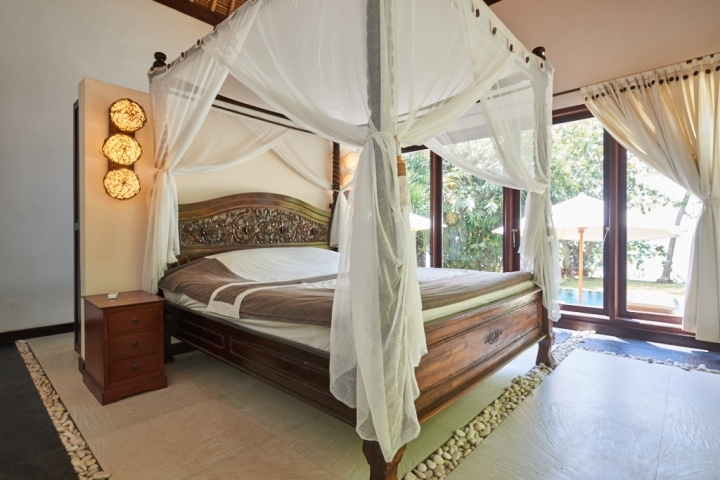 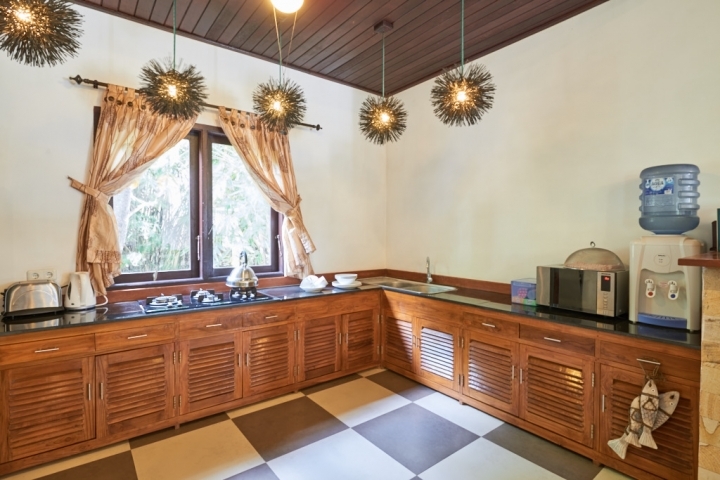 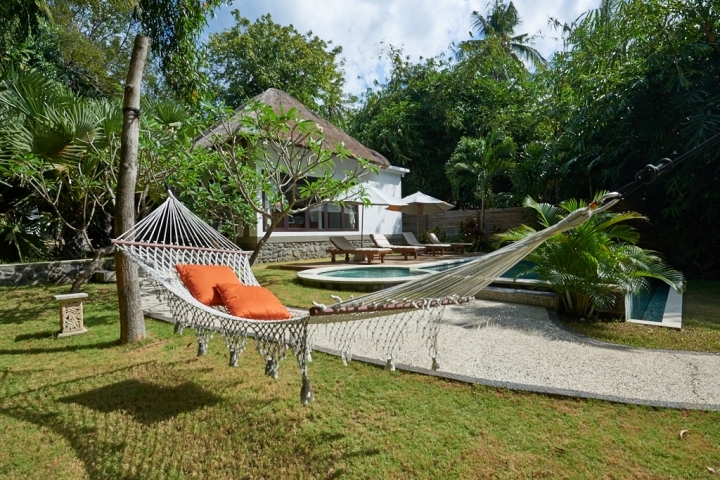 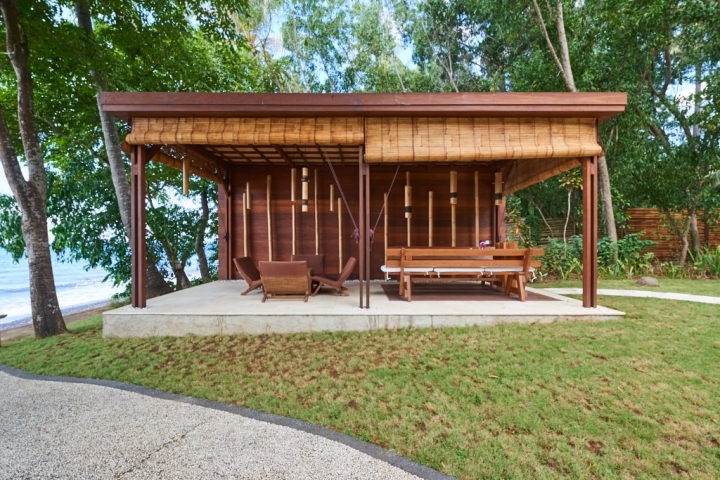 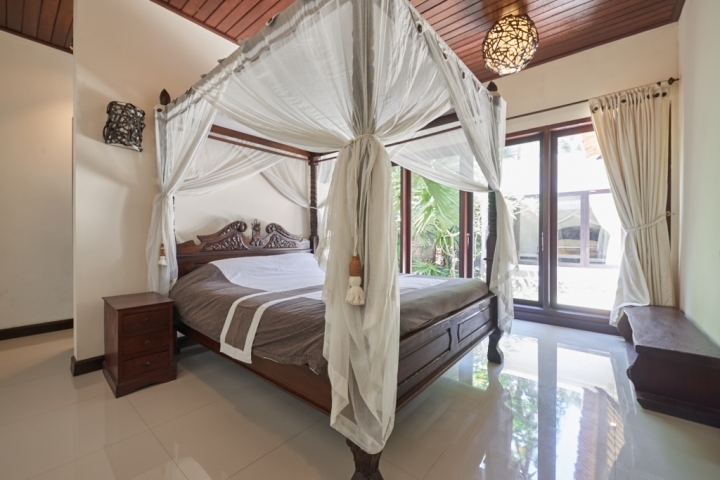 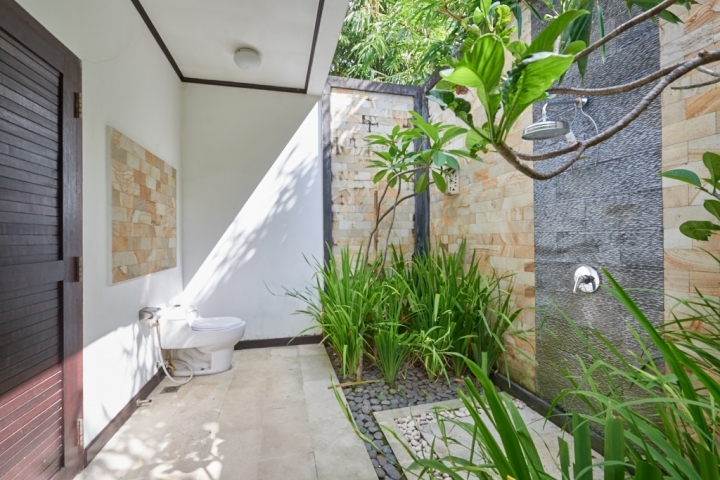 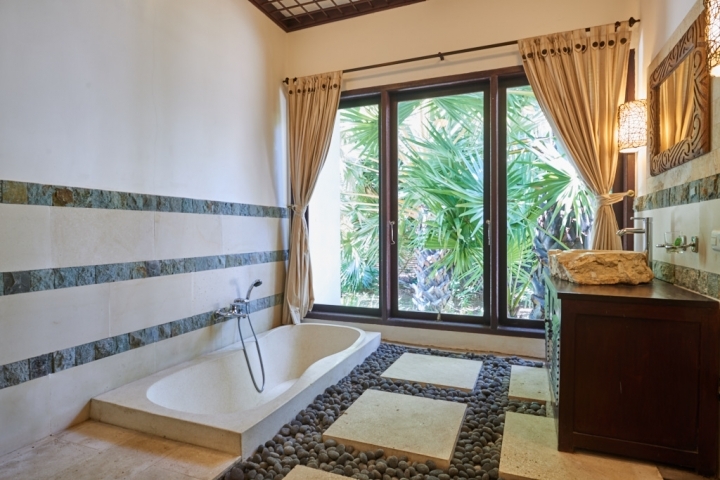 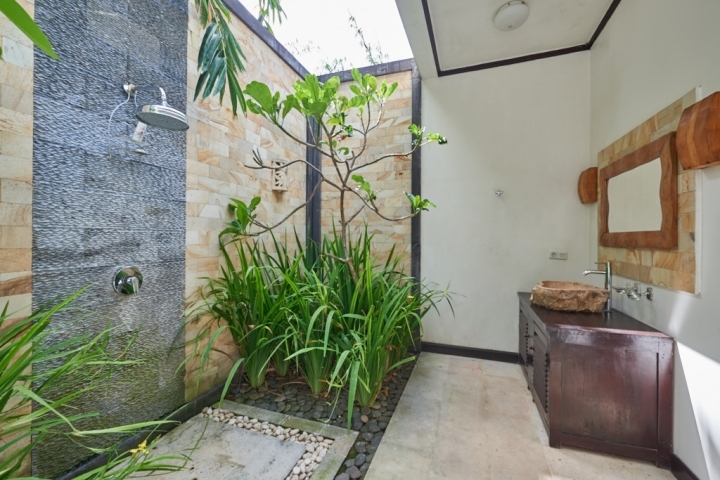 The Villa is surrounded by a beautifully landscaped garden with coconut trees around. 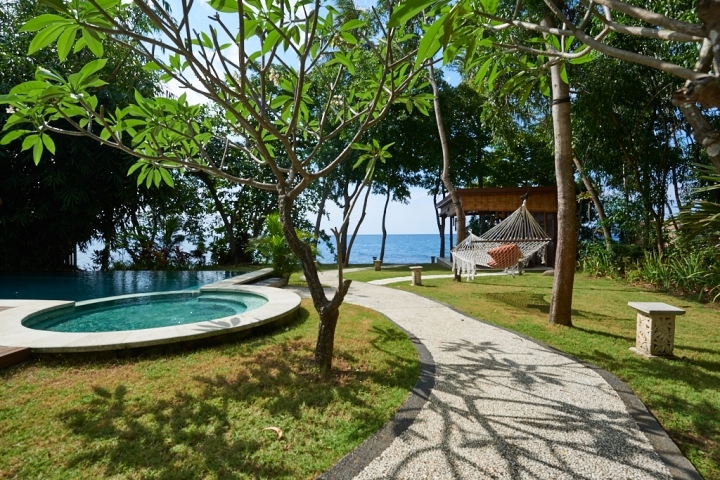 There is a nice reef in front of the villa both for snorkeling and diving.